It is important to have a dream. In fact, I think God-sized dreams are best – the kind of dream that on our own we could never fully accomplish, the kind of dream that can only be fulfilled when we let God take control. Today, Imara International is only able to serve ten young women and ten babies because that is as much space as is available in the current facility. 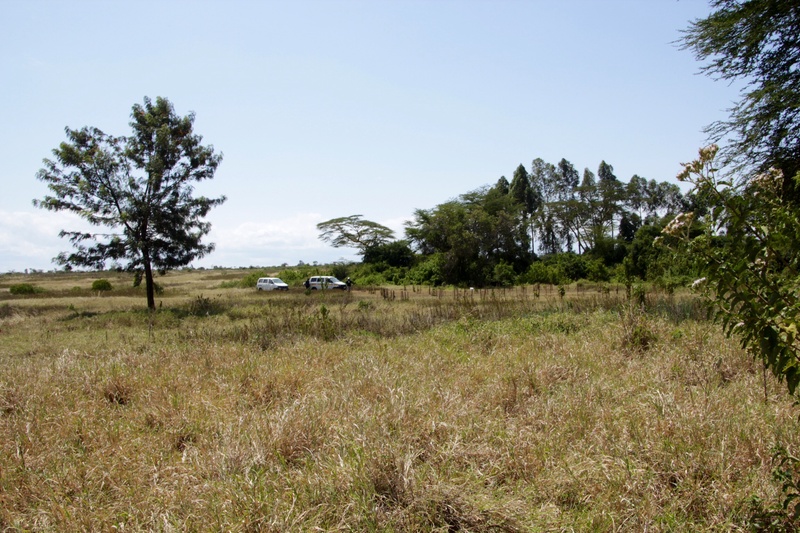 Therefore, Imara is in the process of purchased twenty acres of property to begin constructing a village that can serve at least five times the number currently possible. Even this will serve only a fraction of the need in this country, but it is a start, and for each teenager it is likely the difference between hope and hopeless, life and death. So, on Wednesday, you, Messiah Church, did a good thing. You provided the funds to take the young women currently at Imara on a safari (swahili words for “trip”) to see this new property and begin to catch the vision that they are the pioneers of something much larger than can be imagined. This is not an easy thing to do – catch the vision. When your world has only begun to feel secure from the abuse of the past and you have yet to fully trust anyone, it is difficult to see yourself as whole much less becoming the first part of something that you can give to others. We hired two matatus to take us the 40 minutes over dusty, rocky, dirty roads. We stopped to purchase a dozen trees for planting. We drove through the beautiful countryside, along parts of Ol Pejeta conservancy (we saw zebras and antelope), past farmland and across a river to twenty beautiful acres of land with a winding river along one side. We walked along the river, looking for signs of hippos and dreaming about what will be. We ate our picnic lunch of pb&j sandwiches, and then planted the trees. 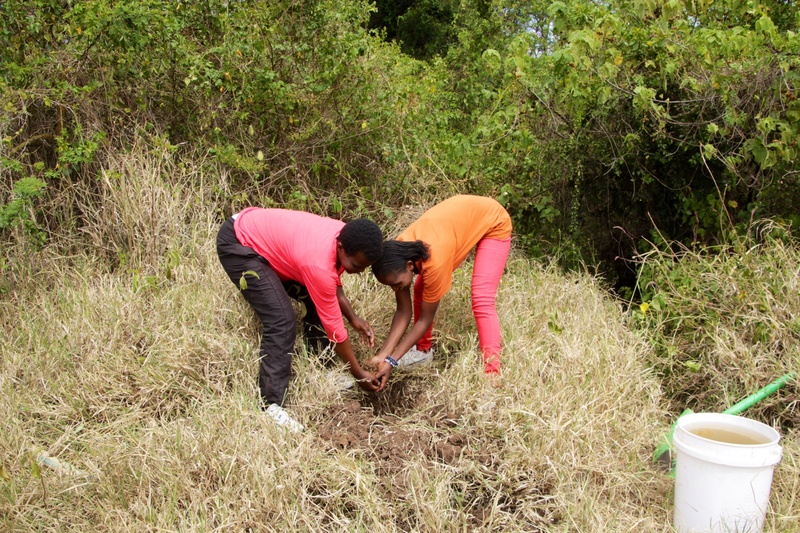 Another group had planted a couple dozen trees during a prior mission trip. 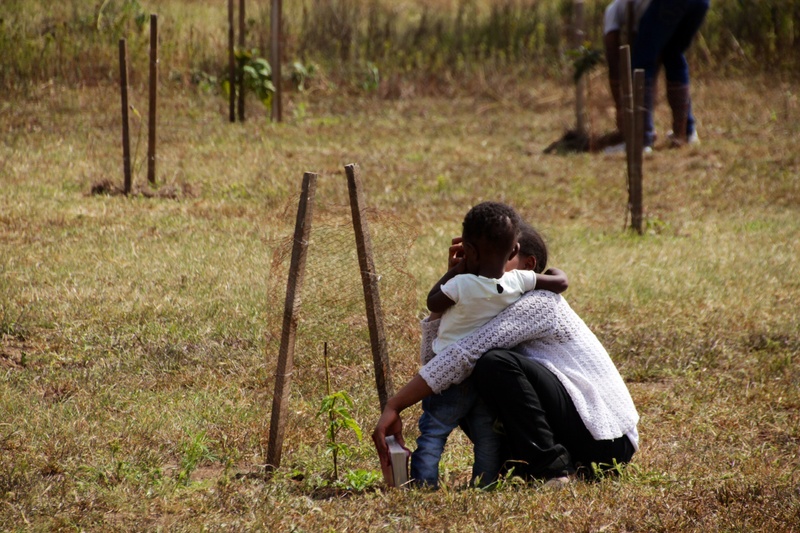 Most of the girls got involved digging the holes and watering the newly planted trees. And before we left, we prayed. Remember when Moses was tending sheep for his father-in-law and suddenly saw a bush that was on fire but not being consumed by the fire. Out of the bush, the voice of God spoke: Take off your shoes for you are on holy ground. On June 25, we declared these twenty acres to be holy ground. We dedicated this ground, these acres to God, because what will emerge on this ground can only flourish if God is the guardian and guide. I gave each girl a tiny stone cross – and asked her to take one for her child. 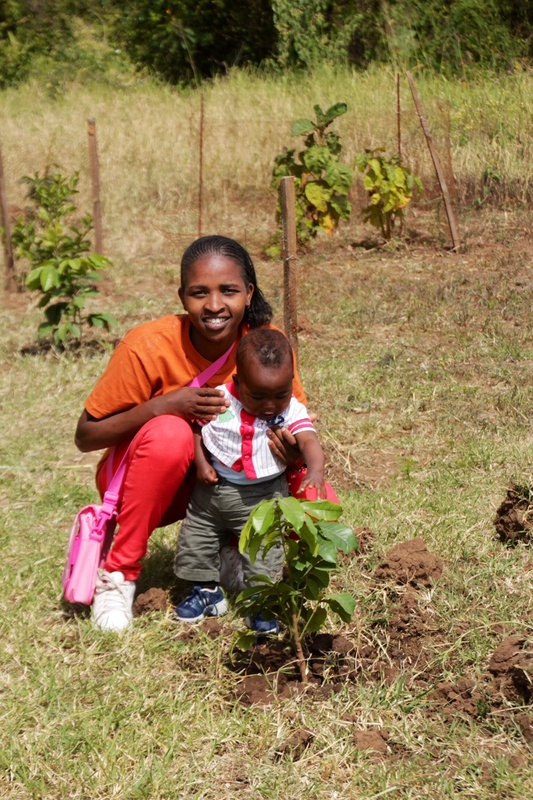 I invited mother and child to find a newly planted tree and to plant that cross with the tree, praying that God would bless what is emerging and help it (the tree and the dream) to flourish. As we left that afternoon, several of us walked the length of the property. Carol shared the dream of what is planned, but I followed quietly giving thanks for what God will accomplish.